Internet Explorer is free and built in with your windows.Internet explorer not so good as compare to other popular browser but it can be useful if you have recently installed new OS. Previous version's performance was not as accepted, there were so many issues,bugs. Now on window 7 or 8 the latest version of internet explorer provided with new purchased PC/Laptop.And for old there are new update available called as IE11.And this IE10 or IE11 provides new web browsing experience.And of course it is much faster then previews one. One thing you have noticed that there is no option for clearing web history that you recently browsed. This web history creates offline Catch/Data that will takes some space of your hard disk every time every day.And this will cause your computer slower. You can remove it and clean your computer manually with following easy step. Open browser click on setting icon as shown in Image below. Now you can see some options. Just click on Internet Options. 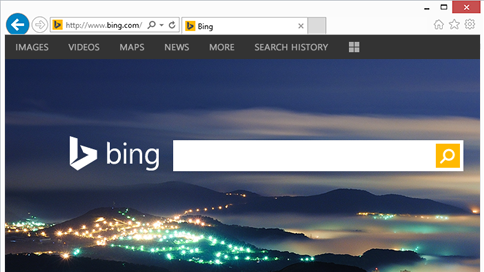 Now new window will open and you can see one Check Button named Delete Browsing history on exit. And turn on it with single click.